Covering Dixie: Jeremy Pruitt, Florida, LSU, And More. In honor of the Opening Day of Major League Baseball (at least the "real" one) the photo for today's "Covering Dixie" is the site of Jackie Robinson's birthplace in Cairo, Ga. 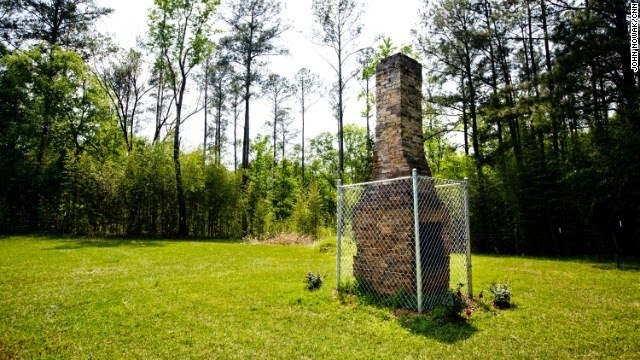 The house burnt down in 1996, leaving only the chimney to mark the spot. 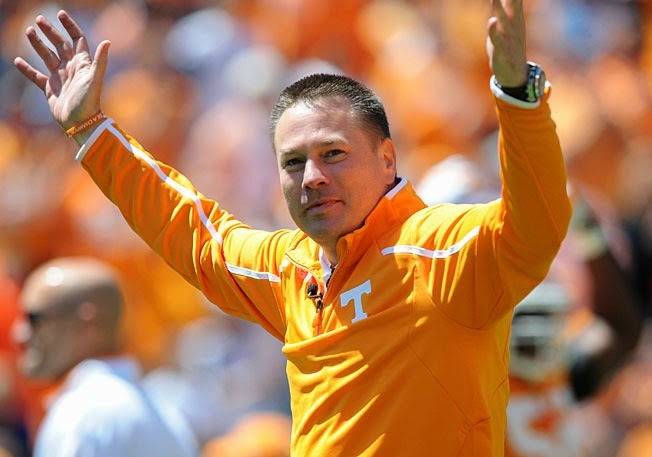 Butch Jones Faces Dearth Of Tennessee Seniors In 2014. From "The difficult we do immediately. The impossible takes a little longer" department comes this admission from Tennessee head coach Butch Jones, who goes into year two as head coach of the Volunteers with only 13 seniors returning for "Team 118" (a reference to the 118th season of Vols' football). Tennessee went 5-7 in Jones' first year as the Volunteers' head coach. The Vols' last winning season was in 2009, under then-head coach Lane Kiffin. The Fallout: A'Shawn Robinson, Johnny Manziel's playlist, and more. I looked so much older then. I'm younger then that now. Good Bull Hunting provides a playlist of the songs played during former Texas A&M starting quarterback Johnny Manziel's pro day. Yes, there were some Drake songs played during the proceedings. Iowa lands 2015 recruiting class commitment of Illinois high school athlete Jack Hockaday. Jack Hockaday. Via The Decatur Herald & Review. Iowa had added a seventh member to its 2015 recruiting class . Maora, IL high school junior quarterback/athlete Jack Hockaday verbally committed to the Hawkeyes on Saturday. Hockaday attends Maora-Forsyth High School, and will be the first player from the school to play for an FBS division school. Hockaday is likely to play as an outside linebacker position when he gets to Iowa City. He has played as a receiver, outside linebacker, quarterback, and safety during his high school career. Hockaday is 6'0'', and weighs 205 lbs., according to Rivals.com. He has twice been named Macon County Player of the Year by the Decatur Herald & Review. David Pollack dressed up as Richard Simmons for 80's costume party. ESPN college football analyst David Pollack is throwing one of those 80's themed costume parties. Pollack tweeted out a photo of he and and his wife Lindsey in costume. She's going as Madonna, and David is going as...Richard Simmons. Kind of an odd pairing. I guess the idea of going as Sean Penn never went through Pollack's mind.Or maybe dressing up as Jim Kelly's backup during Kelly's college quarterbacking days at Miami? The Fallout: Kenny Hill suspended, A.J. 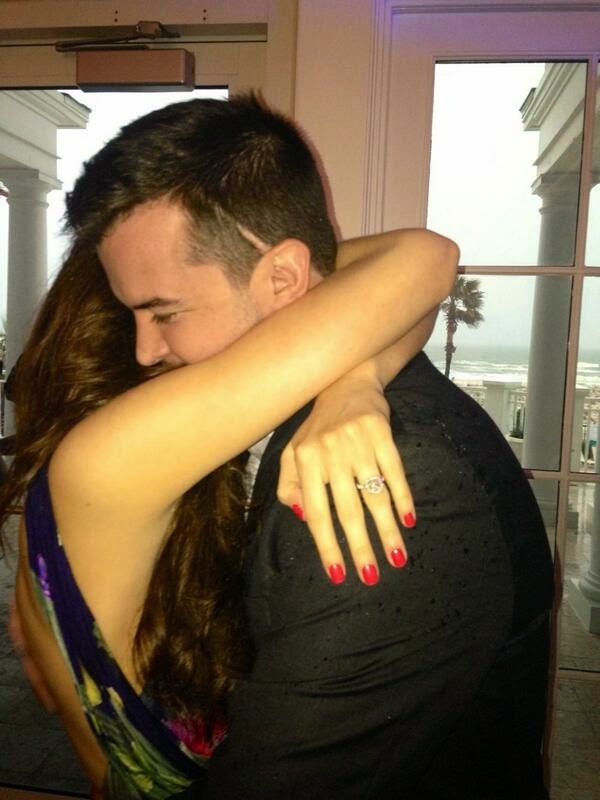 McCarron and Katherine Webb's engagement, Georgia, and more. Everybody Else Is Suspending Their Players, So Why Can't We? Trying hard to be number two. Every time Darren Rovell tweets, a demon earns his horns in Hell. The most famous couple in college football are making it official. Former Alabama starting quarterback A.J. McCarron and girlfriend Katherine Webb are officially engaged. Webb revealed the change in Facebook status on her Twitter account on Friday night,. Naturally, Webb also showed off the engagement ring on Twitter, which she claims McCarron designed. McCarron apparently knows more about rings than just wearing them. No word on a date for the wedding, though one would expect Brent Musburger won't be invited. The Fallout: Maliz Zaire, Randy Edsall, Watts Dantzler, and more. He said "Captain." I said "Watts?" He said "Captain." I said "Watts you want?" And here's to you, Mr. Robensen. Nike already selling Johnny Manziel's pro day workout gear online. Never let it be said that Nike doesn't leave any stone unturned when it comes to maximizing profit. 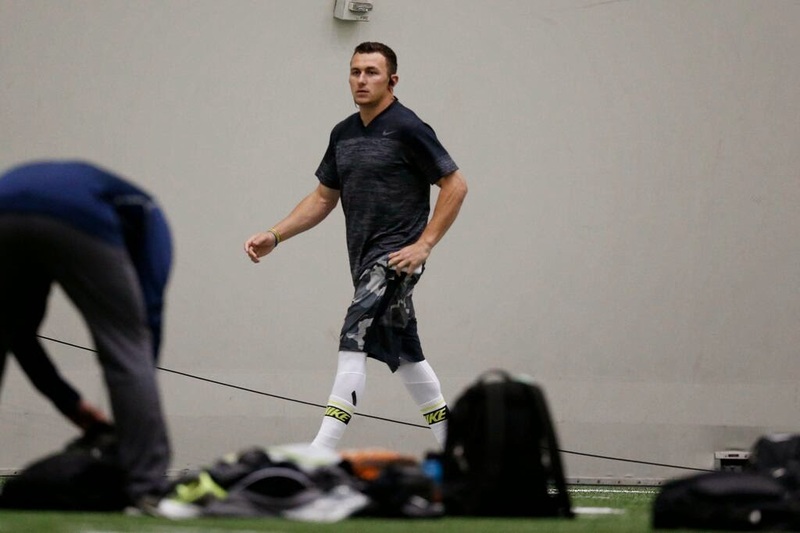 Thursday was Texas A&M's pro day, with former starting quarterback Johnny Manziel. Uncle Phil's misguided children wasted no time in announcing on Twitter that the gear JFF was sporting today was part of an entire Johnny Manziel Pro Day Collection, and was already available for sale online at Nike's website. Nike might want to update its store. The camo shorts Manziel wore during his pro day workout was not available for sale with the collection. These might be the Nike shorts Manziel was wearing, but don't hold me to that one. 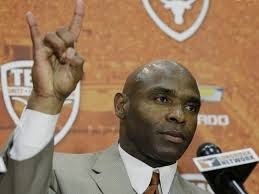 Charlie Strong won't let Longhorn players "Hook 'Em Horns" until they earn it. Charlie Strong. Via USA Today. The traditional Texas Longhorn "Hook 'Em Horns" hand gesture has been made verboten to members of the Longhorn football team. At least not until new Texas head coach Charlie Strong feels they're earned the right to use it. According to ESPN's Max Olson, it part of Strong's attempt to "change the culture" of the Longhorns" football program. “They’ll get it back one of these days,” according to Strong. be sometime be between the end of spring practice and the start of the college football season. 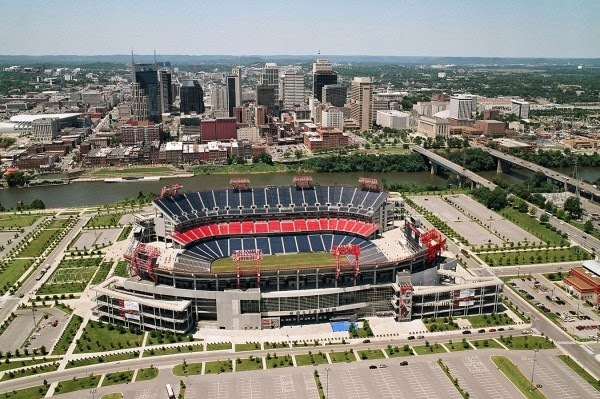 Nashville group seeks neutral-site SEC game for LP Field. Nashville's LP Field. Via The Lipman Group. From the "Everybody Else Is Doing It, So Why Can't We?" department comes word that a group of Nashville politicians and "sports officials" are working on the development of an annual SEC vs. non-conference opponent neutral site game for the Music City. It would be held at LP Field, the home stadium for the Tennessee Titans. The game would be similar to the annual Chick-fil-A Kickoff Game, which is played in the Georgia Dome in Atlanta on Labor Day Weekend. The Tennessean reports that the CFA Kickoff Game brought in $44.3 million dollars to the Atlanta economy in 2013. Among the Nashville-area groups involved in the proposal are the Music City Sports and Entertainment Group, Nashville Convention and Visitors Bureau and Nashville Sports Council. Wes Welker hangs out with Kliff Kingsbury at Texas Tech. Denver Bronco Wide Receiver stopped by his alma mater Texas Tech on Monday. In addition to working out and speaking with players, Welker took time out to hang with former teammate and Red Raider head coach Kliff Kingsbury. Two things to take from this tweet Kingsbury sent out today. One: Kingsbury is at least a foot taller than Welker. Two: That is an awesome v-neck Kingsbury is wearing. 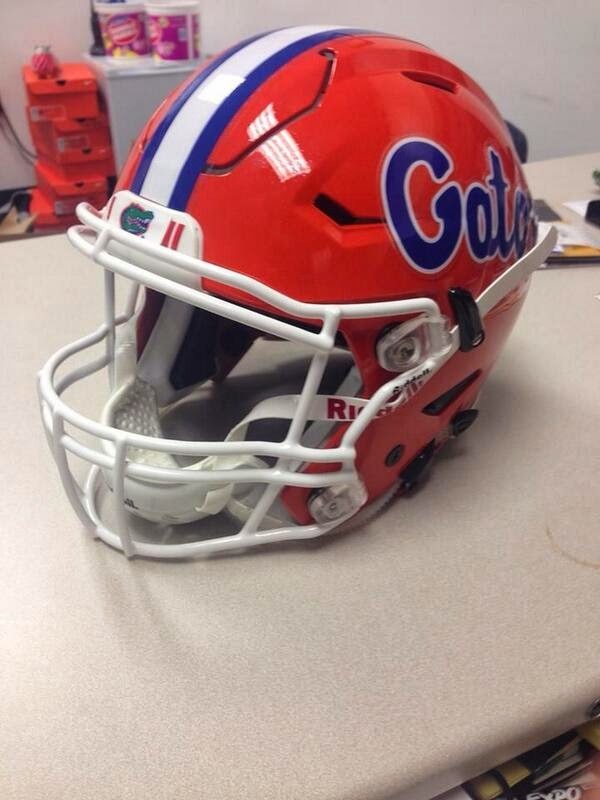 This is the helmet Florida will be wearing in 2014. Pay more attention to the helmet's structure than to the paint job, because that's the important part. This is Riddell's new Speedflex helmet, which has been designed for improve chances for players to avoid traumatic head injuries on the field. Arkansas will also be using the Speedflex helmets in 2014. 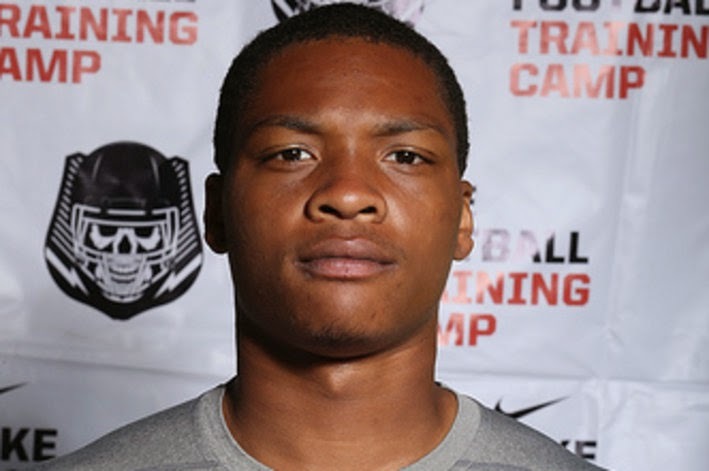 BYU Adds Fifth 2015 Commitment With High School Junior QB Kimane Domena. Kimane Domena. Via Vanquish the Foe. BYU has added a fifth member to its 2015 recruiting class. Portland, Ore. high school junior quarterback Kimane Domena committed to the Cougars on Thursday of last week. Domena goes to Portland's Roosevelt High School. He is rated as a three-star quarterback by 247Sports.com. Covering Dixie: Na'Ty Rodgers, Gus Malzahn, Kevin Norwood on A.J. McCarron, And More. Covering Dixie Like Mildew - The SEC. A football conference with occasional dalliances with basketball. 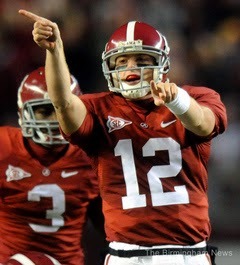 Greg McElroy in 2009. Via al.com. Greg McElroy didn't stay unemployed for long. The Former Alabama quarterback, who recently ended his NFL career, has been hired to be an analyst for the SEC Network. “You grow up wanting to play in the NFL and loving playing the game,” McElroy told the website. “I started playing this game when I was 8, and for the first time in 17 years, I won’t be putting on shoulder pads and a helmet every day in the fall. McElroy led the Crimson Tide to a BCS Title in 2009. He spent time with the New York Jets and Cincinnati Bengals while in the NFL. He was a teammate on the Jets with Tim Tebow, who was hired by the SEC Network in December. Insert irony here. Missouri congratulates Stanford for beating Kansas. Congrats to @Stanford on a fine NCAA Tournament win! Missouri had to give up (at least for now) it's rivalry with Kansas when it defected from the Big 12 to the SEC. At least on the field and on the court. In spirit, the Border War still lives, as the above tweet from Mizzou's official Twitter account can attest. Will Blythe may have used the title To Hate Like This is to Be Happy Forever to refer to the Duke-North Carolina rivalry, but the idea fits here just as well. The Fallout: Bo Pelini, Todd Gurley, Malcolm Mitchell, and more. Welcome to the Fallout - Yes, my bracket is toast. Thanks for asking. Yes, The Fallout one's late today. Blame Stanford vs Kansas in the NCAA Tournament. Nick Saban wants NFL to limit junior invitations to NFL Combine. How can college football keep juniors down on the farm, and stop them from declaring early for the NFL Draft. Alabama head coach Nick Saban has an idea about how to do that. It involves the NFL limiting invites to the NFL combine to players that have been graded to be third-round draft picks or better. 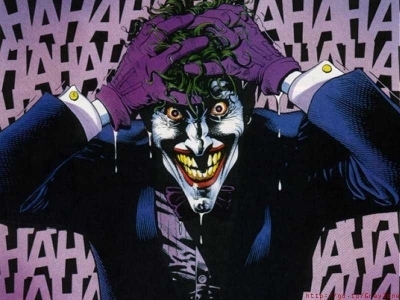 "You're going to go to the Combine and shoot up the draft charts, which never really ever happens, either," Saban said. "More guys go down at the Combine than go up because they're not as fast and they don't have a very good feel in comparison to all the other competition in the draft at their position. "When they come to that realization, it's too late." 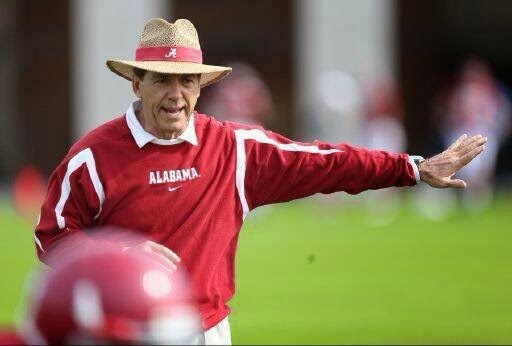 Saban believes the NFL may be in favor of the idea. "The way it's going right now, I don't think the NFL really wants all these guys coming out for the draft," Saban said. "They know they can develop better in college if they stay and play more unless they're going to be high draft picks. It's difficult for them to develop players with the way they practice now. If a player's not a high pick, it's a lot more difficult for them to develop as an NFL player. "I just think systematically we need to do something." The Fallout: Jim Tressel, Charlie Strong, Texas A&M, and more. Every woman, every man, join the Caravan of Love. With Six You Get Eggroll. Mercer guard Kevin Canevari dances the Nae Nae after upset win over Duke. Are we Mercer, or are we dancer? Apparently they're both as Mercer guard Kevin Canevari performed the ever-dangerous White Boy Nae Nae after the Bears shocked the world and upset Duke in the first round of the NCAA Men's Basketball Tournament. This is the dance of a man who realized that he's cost those lucky few who picked Dayton over Ohio State on Thursday their chance of a billion dollars. Somewhere in Omaha, Nebraska, Warren Buffett is cackling manically. Dance all you want today, Kevin. Mercer has to face either UMass or Tennessee in the next round on Sunday. 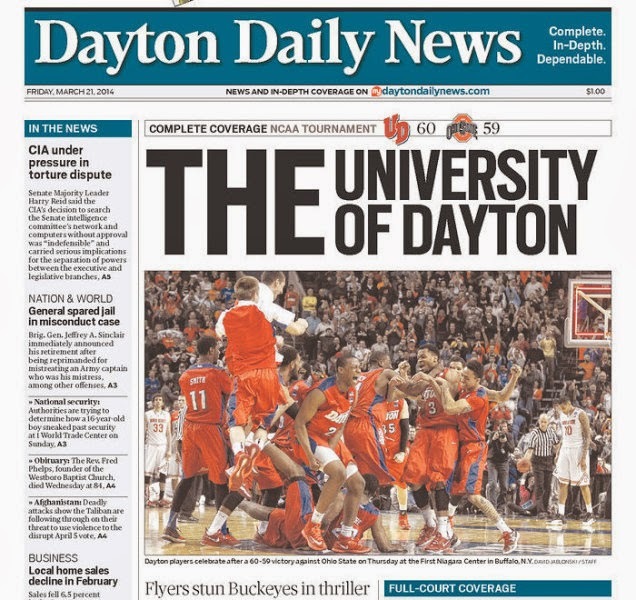 Newspaper dubs Dayton "THE University of Dayton," takes jab at Ohio State. The Dayton Daily News had a little fun with Ohio State's 60-59 first-round loss to Dayton in the NCAA Men's Basketball Tournament. The paper ran with the front page headline "THE University of Dayton," an obvious jab at the senior institution's fondness of referring to itself "THE Ohio State University." THE University of Dayton Flyers will face THE Syracuse University Orange in the second round of THE NCAA Men's Basketball Tournament on Saturday. Urban Meyer on new Alabama offensive coordinator Lane Kiffin. Lane Kiffin and Urban Meyer in 2009. Via SI.com. What does Ohio State head coachUrban Meyer think about the Alabama hiring Lane Kiffin as its offensive coordinator? 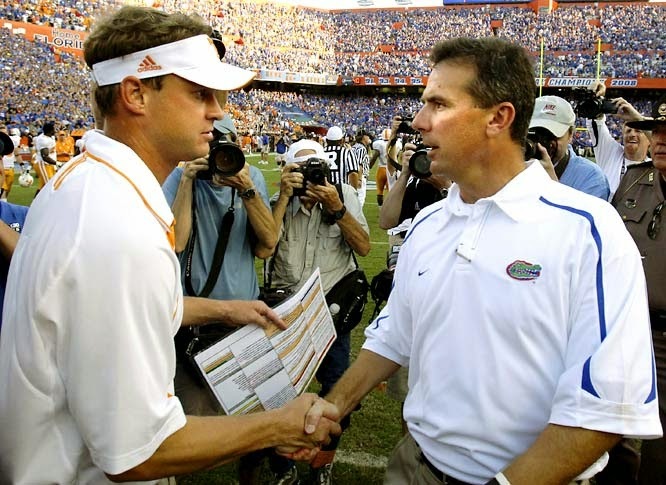 Meyer, in his former role as head coach of Florida, was the subject of unfounded accusations of recruiting violations by Kiffin during the latter's one year as head coach of Tennessee. Kiffin left Tennessee after one season to become head coach of USC. He was fired from that job after going 3-2 in the first five games of the 2013 season. 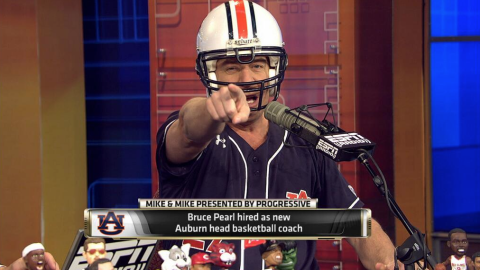 Bruce Pearl dons Auburn football helmet on ESPN's Mike & Mike. Bruce Pearl on Mike & Mike. Via The War Eagle Reader. Newly-hired Auburn men's basketball head coach Bruce Pearl took his personal brand of awkward self-promotion to Bristol today when he appeared on ESPN's Mike & Mike show on Thursday Morning. Pearl came into the studio wearing an Auburn baseball jersey that he sad was given to him by Auburn head baseball coach Sunny Golloway. Pearl described his arrival on the Plains to Dan Dakich and Jorge Sedano, who were filling in for regular hosts Mike Greenberg and Mike Golic. Pearl later went full Bruce Pearl by donning an Auburn football helmet, which took a little bit of effort due to the microphone he was wearing. Be afraid, Auburn. Be very afraid. Florida State OL Ira Denson kicked off team after arrest for illegal credit card use. Ira Denson is an ex-Florida State Seminole. The offensive lineman was dismissed from the team following his arrest on Tuesday for what's being described as "charges of illegal use of a credit card and petty theft." The charges Denson is facing involved a December incident where Denson and a friend alledegly charged charging $501.36 on a card belonging to FSU running back Mario Pender. "Pender took a pair of Denson's shoes as "collateral," the Democrat reported earlier this month. When Denson and Pender agreed to meet so Pender could give Denson the shoes and Denson could repay him, an argument ensued and a friend of Denson's shot Pender's half-brother Tim Pruitt, who Pender sent to complete the exchange, the Democrat reported. Tarron Addison, the shooter, was arrested on charges of attempted murder March 6." Denson was injured must of the 2013 season, and did not travel with the team to the BCS title game in January. ESPN reports that Denson "has not been with the team since December. " 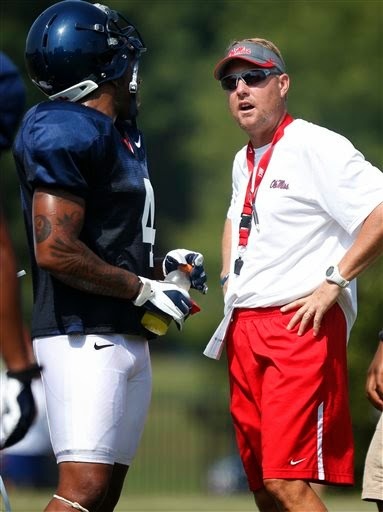 Hugh Freeze unamused by spring break incident involving Denzel Nkemdiche. Denzel Nkemdiche and Hugh Freeze. Via AP. It looks like Ole Miss linebacker Denzel Nkemdiche is going to be staying in Rebels' head coach Hugh Freeze's doghouse for a good long while. Freeze was not amused with after a video featuring Nkemdiche taunting what are described as "fans of another team" during spring break. Nkemdiche, is currently suspended for spring practice and the season opener against Boise State for an incident on his 21st birthday in February. He was. arrested on charges of "disturbing the peace, disorderly conduct, and failure to comply with a police officer." He and brother Robert Nkemdiche are currently being sued for "battery, negligence and intentional infliction of emotional distress" after a seperate incident at an Ole Miss fraternity house . Johnny Manziel shows off new custom Oregon Ducks sneakers from Nike . Johnny Manziel is already tasting the fruits of his recent endorsement deal with Nike. The former Texas A&M starting quarterback posted a photo via Instagram of his new sneakers that were custom-made for him by Uncle Phil's Misguided Children. They're a pair of green Oregon Ducks kicks, complete with Puddles the Duck on the heels. Before the Aggie faithful get all hot and bothered about this they need to remember that Manziel was originally committed to Oregon, but flipped to Texas A&M. They should be consoled to know that at least one shoe's inside tongue has a Texas A&M logo on it. along with Manziel's "Johnny Football" nickname. They should also recall that it's Adidas, and not Nike, which has the contract with Texas A&M. If they want JFF to wear Aggie Nike kicks, they might want to take their complaints to the TAMU athletic department. Stolen "T" from Georgia Tech's Tech Tower recovered. 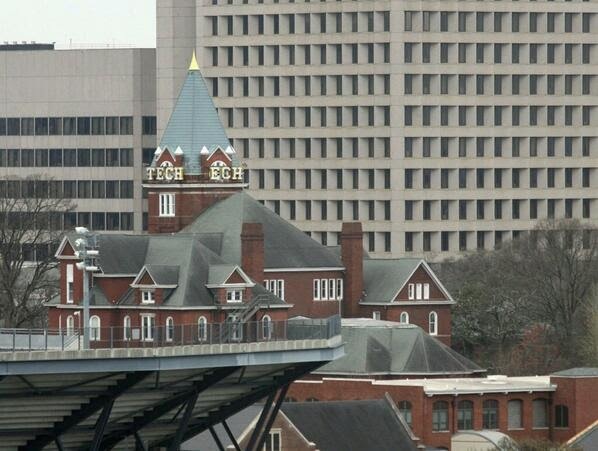 Georgia Tech officials have announced that the "T" stolen off the "Tech" sign on Tech Tower has been recovered. The "T" was returned by the student that had removed it. The student's name has not been released. Campus police are currently determining what. if any, charges should be filed. "Georgia Tech continues to be concerned about the safety of our campus community when these types of events occur," spokesman Jason Maderer said in an emailed statement." "Stealing the T" has been a considered a tradition for Georgia Tech students, but has been discouraged by school officials in recent years. Baylor QB Bryce Petty attends George Whitfield QB camp. Bryce Petty via Bleacher Report. 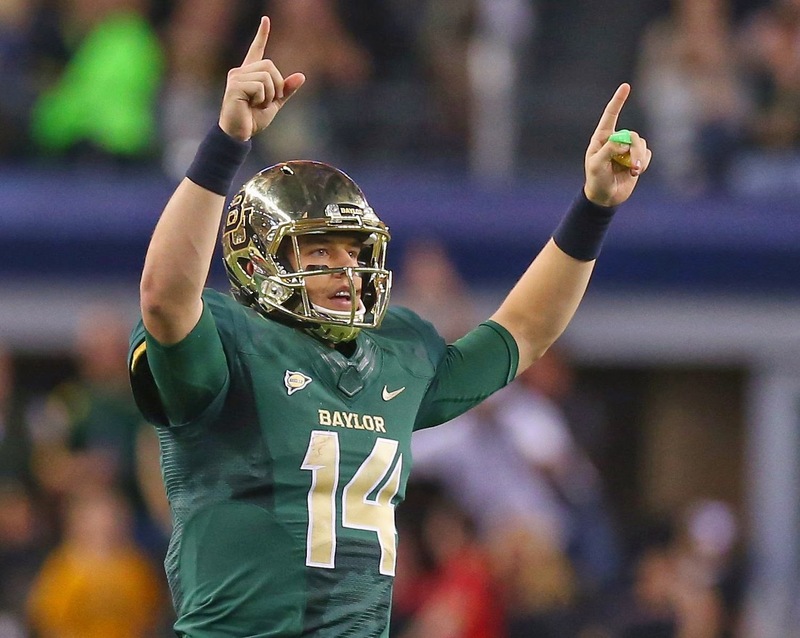 How did Baylor starting quarterback Bryce Petty spend his Spring Break? He attended a quarterbacks camp held by "quarterback guru" George Whitfield, best known for tutoring former Texas A&M Heisman Trophy-winning QB Johnny Manziel. Petty described to SI.com's Andy Staples how he bonded with fellow QB camp attendees Marquise Williams of North Carolina, David Watford of Virginia, and Taylor Kelly of Arizona State. "You've got guys from all around the country, but you come in here and you have a common ground," Petty said. "Me and Marquise hit it off as soon as we saw each other. Me and David hit it off. Me and Taylor Kelly. It's just cool when you know that you're working for the same thing." Petty is working on following in the Heisman-winning footsteps of Whitfield's most notable students, Johnny Manziel. Whitfield has also prepare 2010 Heisman winner and current Carolina Panther Cam Newton for the NFL Draft. Auburn to introduce students to new men's basketball coach Bruce Pearl with pizza party. Auburn is inviting students to a little get-together at Auburn Arena to introduce newly-hired men's basketball coach Bruce Pearl. It's just a casual affair, but apparently pizza will be provided. Personally I would have hoped for barbecue to be on the menu for this event. I guess Calhoun's doesn't cater out of state. Covering Dixie: Gus Malzahn and Bruce Pearl, Georgia, Lane Kiffin, and more. The Equitable Building in Atlanta. Rest assured it will not last, take a turn for the worst. Most ridiculous question of the day. Kevin Causey asks "Is Florida becoming a basketball school?" The University of Georgia isn't the only school in the Peach State affected by crime in the past 24 hours or so. Georgia Tech has seen it's first successful attempt of "Stealing the T" for the first time in 13 years. For non-Techies, "Stealing the T" is a mischievous Georgia Tech tradition* where a student or students use the engineering skills they have learned at the North Avenue Trade School to remove one of the four T's from the "Tech" signs that surround the Lettie Pate Whitehead Evans Administration Building (a.k.a Tech Tower). 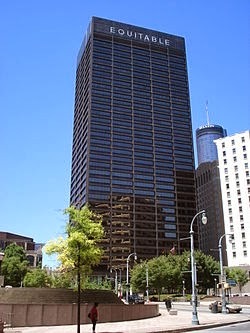 The "T" on the building's east side, facing the Downtown Connector in Atlanta where I-75 and I-85 converge is the traditional T stolen. The last successful "Stealing the T" happened in 1999, when a group of Georgia Tech students removed the "T" from Tech Tower. A photo allegedly exists of the "T" "vacationing" in West Virginia, but apparently is currently not archived online. It has yet to be returned, as school officials promised to take legal action against the person or persons involved. An unsuccessful attempt to "Steal the T" happened in 2001, when the offending students were caught in the act. Georgia Tech officials have officially banned, citing the possibility of injury or death to the perpetrators. Tech students with the urge for kleptomania have since resorted to removing "T's" on the campus wherever they can find them. They are also accused of stealing a T off the sign in front of Virginia Tech's Lane Stadium. *If stealing the T off the sign Tech Tower sign is a tradition, then Mark Richt losing control of his players is a tradition. 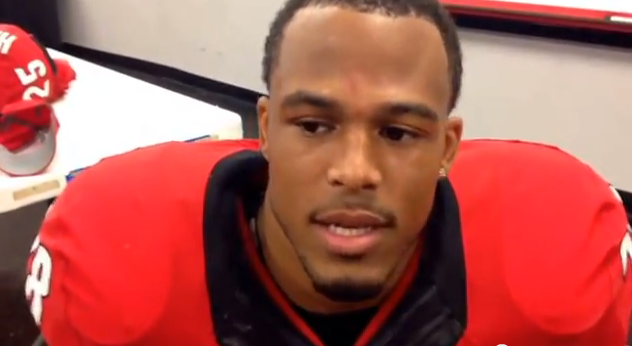 New details on the arrest of four Georgia players for "theft by deception." Trey Matthews. Photo via Bulldog Illustrated. New details are emerging the arrests of four Georgia players who where charged with "theft by deception. The players involved are safety Tray Matthews, defensive linemen James DeLoach and Johnathan Taylor, and wide receiver Urban LeMay. According to The Macon Telegraph's Seth Emerson, the players tried to cash stipend checks from the school after having deposited them using electronically via a banking app. 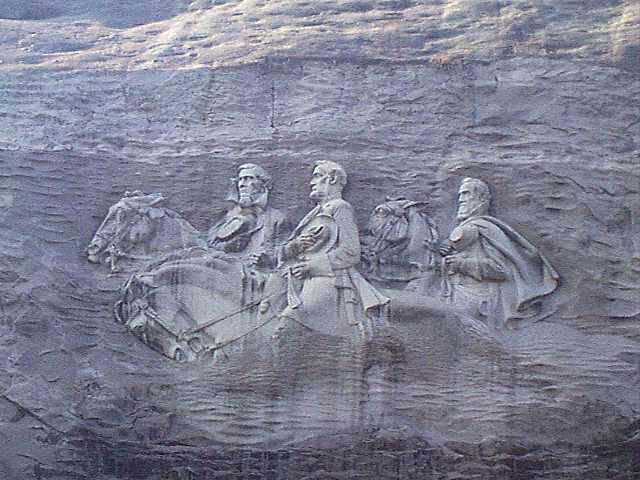 Matthews, DeLoach, An Taylor did this with their own checks from the school. LeMay is accused of depositing checks belonging to an unnamed roommate. UGA chief of police Jimmy Williamson explained how the alleged crimes occured. "Mayes, DeLoach and Taylor would basically take that check and deposit it through a mobile banking ap. And then within a short period of time would go to a local convenience store and cash the checks. So they basically would cash the check twice." Matthews, the most promising of the four athletically, is charged with three counts of theft by deception. Taylor and DeLoach are each charged with two counts of theft by deception. LeMay is charged with four counts of theft by deception. Four players arrested on charges of "theft by taking" day before Bulldog spring practice opens. Among the things that Georgia head coach probably wouldn't want to happen the day before the start of Bulldog spring practice would have to be having four players arrested for Sadly that has happened. Defensive linemen James DeLoach and Johnathan Taylor, wide receiver Urban LeMay, and safety Trey Matthews were charged on Monday night with "theft by deception." No further information about the crime allegedly committed by the four players has been released by either the Athens-Clark County Police dept. or the school. In Georgia, the crime of theft by deception is described om Justia.com as occuring when the alledged perpetrator "obtains property by any deceitful means or artful practice with the intention of depriving the owner of the property." UPDATE: The Atlanta Journal-Constitution reports via Twitter that the alleged victim of the case is the University of Georgia Athletic Association. Missouri suspends two players after arrest on marijuana related charges. Missouri defensive backs Aarion Penton and Shaun Rupert have been suspended by the school following their arrests on charges of marijuana possession. They were arrested late Saturday night along with Mizzou men's basketball team members Wes Clark and Shane Rector. "Columbia Police officers pulled over a car driven by Rupert at 11:32 p.m. after seeing that the rear license plate was expired, Officer Latisha Stroer said. The traffic stop took place in the Commerce Bank parking lot at 501 E Broadway. Officers detected a strong odor of marijuana coming from the vehicle as they made contact with Rupert, Stroer said. They located a Swisher Sweet cigarillos package containing a substance that field-tested positive for marijuana. Rupert, Penton, who was riding in the passenger seat, and Clark and Rector, who were riding in the back seat, were all arrested. Each was issued a summons and released." A Mizzou football program spokesman said in an e-mail to The Columbia Tribune that Penton and Rupert had been. "suspended immediately per athletic policy, pending internal review." Clark and Rector were also suspended by Mizzou men's basketball coach Frank Haith. Baylor adds FCS program University of the Incarnate Word to 2019 schedule. . The University of the Incarnate Word Cardinals logo. Baylor may have just become the FBS division program that has come the closest to actually playing the Little Sisters of the Poor. The Bears have added the University of the Incarnate Word Cardinals to its 2019 schedule. The game has been scheduled to be played on Aug. 31, 2019 at Baylor's McLane Stadium. 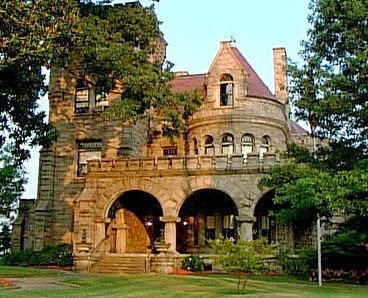 Incarnate Word is a San Antonio-based Catholic university founded in 1881 by the Sisters of the Incarnate Word. The Incarnate Word Cardinals fielded its first football team in 2007. It moved up from NCAA Division to the FCS Division in 2013. It joins the Southland Conference in the 2014 season. Labels: Baylor Bears, University of the Incarnate Word Cardinals. Georgia defensive coordinator Jeremy Pruitt describes first meeting with new boss Mark Richt. 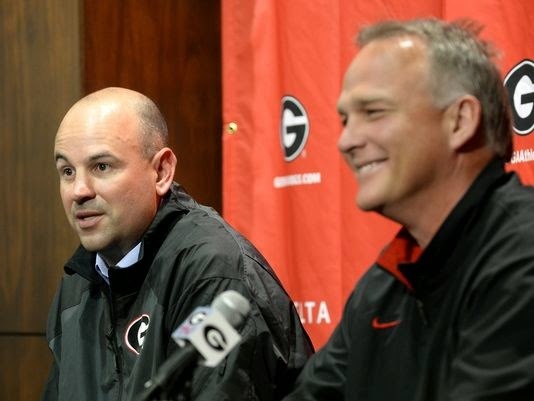 Jeremy Pruitt (left) with Mark Richt (right). Via USA Today. First-year Georgia defensive coordinator Jeremy Pruitt discussed his first meeting with his new boss, Georgia head coach Mark Richt with SI.com's Zac Ellis. The event happened in 2003, when Pruitt was an assistant coach at Fort Payne (Al.) High School. Pruitt says that the meeting convinced him to accept an offer to work with Richt if it ever came up. It came up earlier this year when Georgia's DC job became open with the departure of Todd Grantham to Louisville. Pruitt became UGA's DC on Jan 15. Penn State adds New Jersey high school WR Juwan Johnson to its 2015 recruiting class. Juwan Johnson. Via The M Block. Penn State received its eight commitment for its 2015 recruiting class over the weekend. New Jersey high school junior wide receiver Juwan Johnson gave his verbal commitment to the Nittany Lions on Sunday evening. 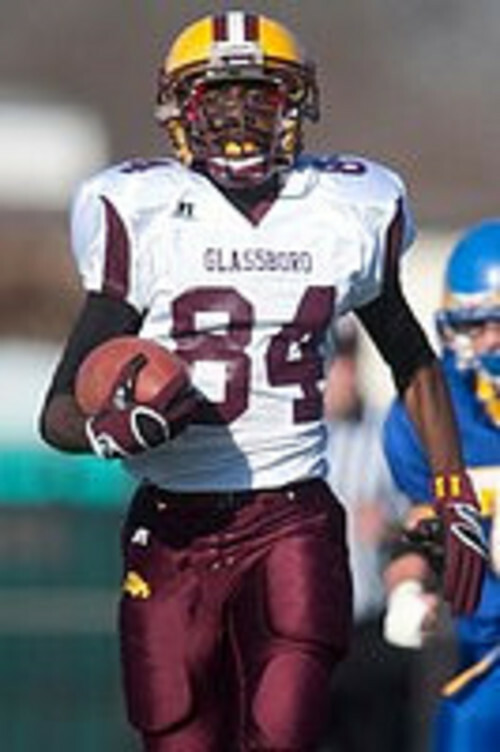 Johnson attends Glassboro High School in Glassboro, NJ. Johnson is 6'5'' and weighs 200 lbs. He had received offer sheets from Alabama, Michigan State, and Ohio State, among other schools. So I messed around a little bit and came up with a "Random Triangle Radio" playlist on Spotify. The first edition of what I hope will be a regular occurrence features an assortment of Alt Rock, Aught Rock, Power Pop, Heartland Rock, BritPop, New Wave, and of course, Queefcore. Selections include: "Real World," by Matchbox 20, "Out of Control," by U2, "Desperately Wanting," by Better Than Ezra, "Teenage Kicks," by The Undertones, and "See a Little Light," by Bob Mould. Be sure to share it with your friends. Auburn lands 2015 commitment of Georgia high school senior linebacker Montavious Atkinson. Auburn had added a fifth commitment to its 2015 recruiting class over the weekend. High school junior linebacker Montavious Atkinson gave his verbal to the Tigers on Saturday. He attends Langston Hughes High School in Fairburn, Ga.
North Carolina, Missouri, Tennessee, Texas A&M, UCLA, and USA were among the sixteen other schools that had given offers to Atkinson. Alabama wide receiver Amari Cooper describes new Crimson Tide OC Lane Kiffin as being "pretty cool." How are Alabama players adjusting to new offensive coordinator Lane Kiffin? Pretty well, if you can go by what wide receiver Amari Cooper says. The junior WR describes Kiffin as being a ""Pretty cool guy. Pretty laid back guy." He also says Kiffin "pays attention to everything." Here's an interview with discussing Kiffen and other items of interest at the start of the Crimson Tide' spring practice, courtesy of al.com. Chet Moss and Leroy Scott are ex-Texas Longhorns, dismissed for rules violations. Scott recovered three fumbles in 2013, and was named the Longhorns' co-special teams player of the year. Moss started only one game in 27 games at Texas, and was suspended for one game last season. He was injured for the last two games of the season. The Fallout: Bret Bielema, Auburn, Jeremy Pruitt, and more. I'm special, so special. I've gotta have some of your attention. Give it to me. The Fallout: Nick Saban, Gunner Kiel, Jarvis Byrd, and more. Welcome to the Fallout - Ides of March 2013 edition. Oh don't act like you weren't expecting something like that today. Just be lucky I didn't post this. Or this. Aggies vs. Bruins in 2016 & 2017. Big Tentacles: Aaron Craft squashes football rumors. Plus James Franklin, Northwestern, Michigan, and more. Yes, it's been a week or so since the last Big Tentacles. A week of fighting off a cold and a possible eye infection will take that out of a person. Here's what's been going on in the B1G the past couple of days, football wise. Busted Buckeye rumor bubble of the day. Covering Dixie: A.J. McCarron, Mike Bobo, and...Dungeons and Dragons? Why? Why? WHY? WHY? WHYWHYWHYWHYWHYWHYWHYWHYWHYWHY? Georgia gives offensive coordinator Mike Bobo a one-year contract extension through 2017. A Texas A&M blogger from Good Bull Hunting plays Dungeons and Dragons for the first time. Sadly, no burnt orange minotaurs or crimson water elephants are anywhere to be found. Pac-12 mascots and cheerleaders shun Stanford Tree in photo. 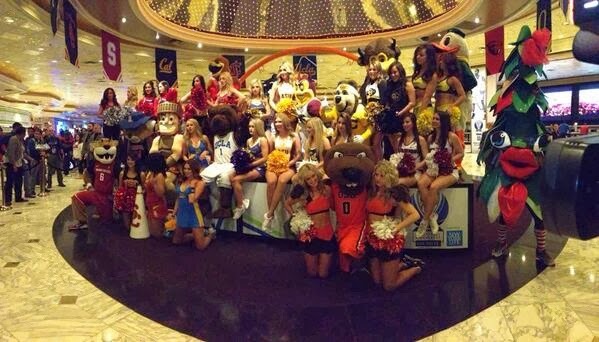 What can we learn from this photo of Pac-12 mascots and cheerleaders taken in Las Vegas for the Pac-12 men's basketball tournament? One is cheerleaders like furries mascots. The other is that absolutely no one in this picture wanted to be near the Stanford Tree. And can you blame them? Even the Stanford cheerleaders, sitting at the right underneath Puddles the Oregon Duck, shun the Tree. Worse, they avoid eye contact with it. If this isn't an indictment, I don't know what is. 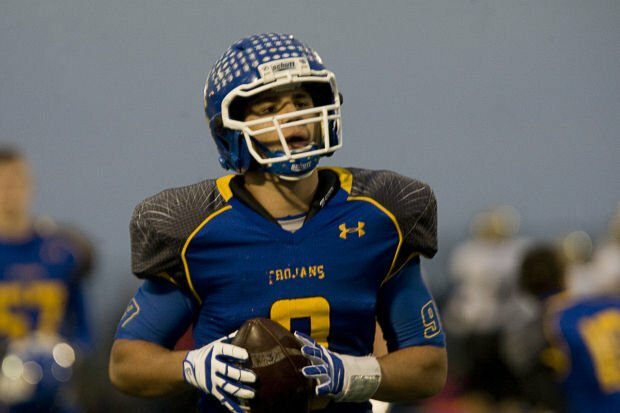 The Ruins: Blake Bell, Paul Rhoads and Mark Mangino, Texas, and more. Sell out with me tonight.